Alreem Smart Kids Montessori Academy, Al Khuzama Area Branch, Riyadh King Khaled Street. Start your summer with a blast ! And join Smart kids Camp, it is going to be fabulous!! Would like to provide your child an EXTRA FUN JOYFUL TIME! So hurry and join our After School Activity! From 2:00pm till 6:00pm (age : 1 month up to 10 years ) Registration is Open So join the FUN and SIGN UP NOW! Start your summer with a BLAST ! And join Smart Kids Camp !! It's going to be FAB !! 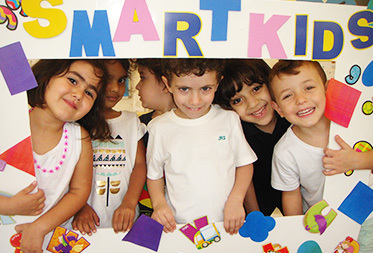 "We love Alreem Smart Kids Montessori Academy! 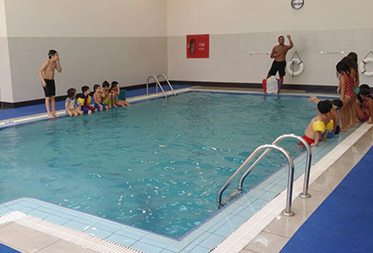 All of the teachers and assistants are always so pleasant and upbeat, they create a really positive environment for the kids! The curriculum is very carefully considered and varies week to week. "I just want to let you know how grateful I am to you and your Alreem Smart kids Montessori Academy employees. I am so thrilled that I have found a Montessori Academy where I feel that my child is so well cared for and loved. 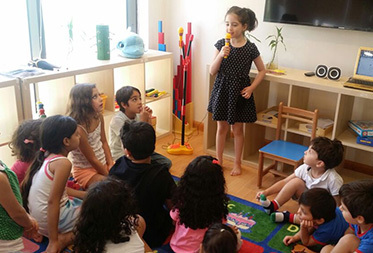 I was so impressed with the Montessori program seeing my son improving in very short time"
Welcome to Alreem Smart Kids Montessori Academy, where we are more than just a traditional private school . We equip your child with knowledge for life ; the essential skills and knowledge he needs to flourish as a joyous child today and as a successful adult tomorrow.